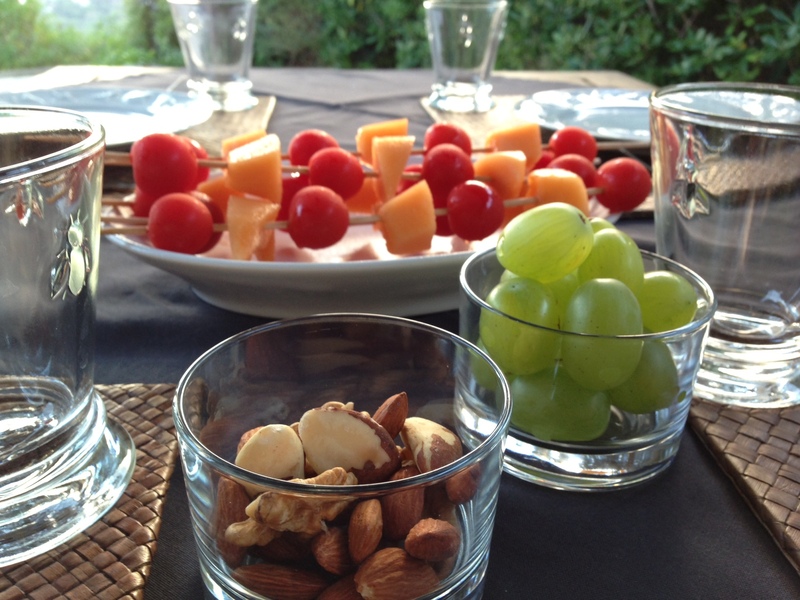 It is possible, and not difficult to have a drink before dinner with kids, of quick preparation and keeping it healthy. 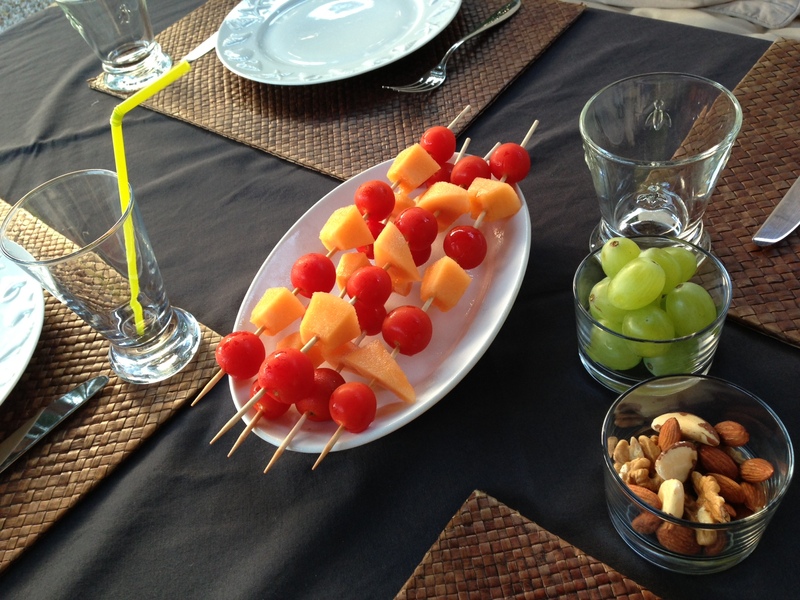 Forget the crisps, the crisps of today are mixed nuts, tomato and melon skewers, and grapes! Obviously, don’t give a skewer to a child under 5 years old! But you can give him each piece of fruit one by one. For older children, it’s a fun presentation, that they can help you make as well. My six year old nephew loved it. If yours doesn’t like tomatoes, make it melon and grapes, or plum and tomatoes, whatever fruits and veg they like. 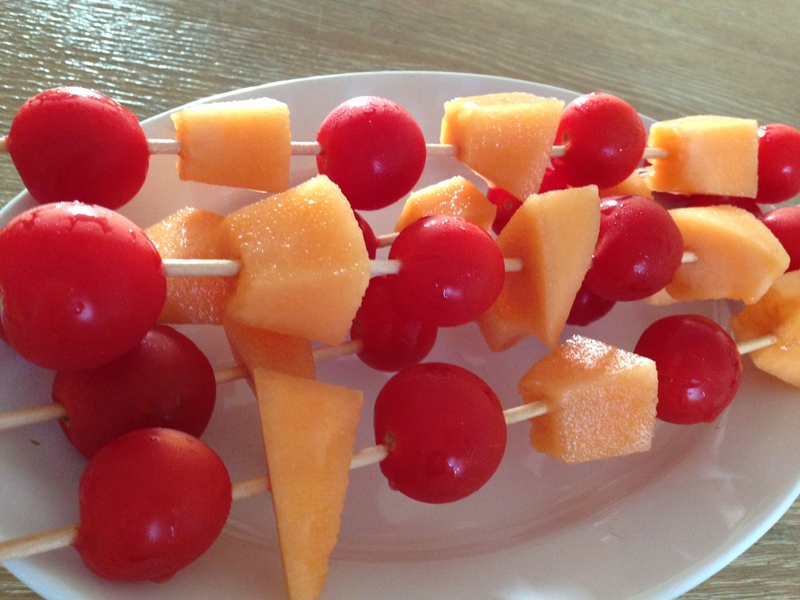 This entry was posted in News, Recipes and tagged appetizer, cherry tomato, gluten free, grape, healthy eating, melon, skewer, tomato, vegetarian on August 23, 2013 by Alix.